Despite suffering permanent injuries from a serious road accident and never being on a cycling tour, Stephen Peel decided to take on a lifelong dream of cycling around the world. We caught up with him after 3365 miles of riding solo. Can you tell us about the road accident? I was the TSCO (Traffic Safety and Control Officer) working in Infrastructure Services. Stood on the hard shoulder of the M6 Motorway in Birmingham, an articulated lorry crossed over the rumble strip (the warning line that separates lane one from the hard shoulder) and struck me down. The operatives working with me that night, heard me yelp and saw me fly, and were able to build a closure around the articulated lorry after the driver had pulled up in lane one. What long term physical side-effects has it caused? I am still recovering after several years, and there are some injuries that will never recover and only get worse as I get older. I suffer permanent spine damage throughout. I also suffer permanent right elbow, right shoulder, and neck damage. I have ongoing nerve damage throughout the whole of my right side, causing me to trip and fall when I have felt I have lifted my right foot but in fact haven’t moved it at all, and I live with constant pain. What impact did it have on your ability to work? My company dismissed me on capability grounds due to not being able to carry out my usual duties, without pay or pension. I am no longer able to work in Traffic Management and as I am also now in my mid 50’s with damage worsening, I am unfortunately not a good proposition to many. How long had you been thinking about cycling round the world? I have thought about cycling around the world for many years, but really never imagined ever being in a position to do it. I’m working class and was taken out of school in my teens to work as a labourer on building sites, and so didn’t complete high school. I worked hard for everything I have, and have never had anything from anyone, so I’m quite proud of what I’m doing right now. Were your family supportive of your decision? My family thought, and still do, that I’m completely bonkers. They just worry I guess, and that’s understandable given my physical condition. 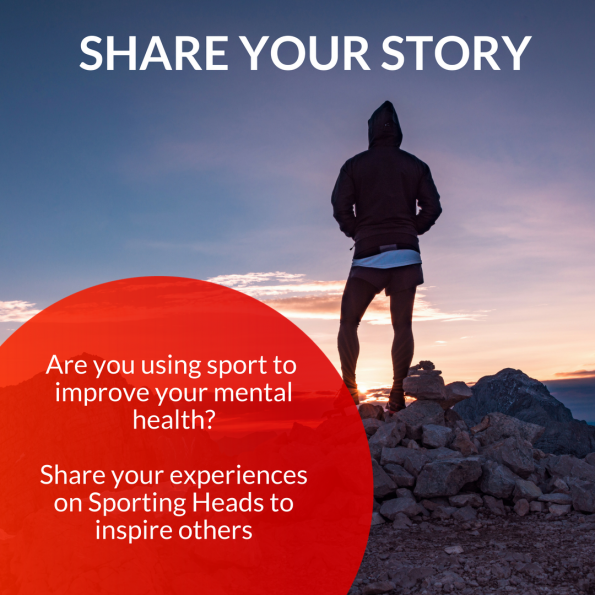 Have you always been into sport and in particular cycling? I’ve never been into cycling, and this was my first ever attempt at bicycle touring, no practice before hand. I simply loaded up the bike with everything I thought I might need, and off I went. I was a swimmer in my youth, and heavily into strength training prior to the accident. What has your route been so far? 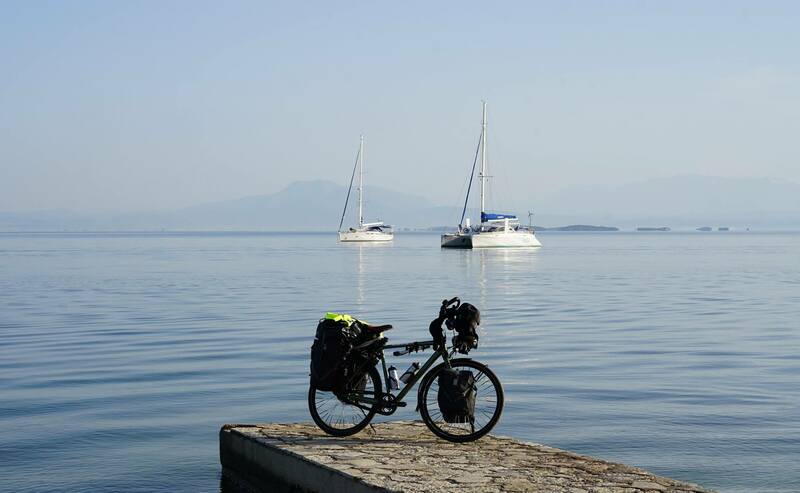 I cycled from Cheshire to Portsmouth, St-Malo in France to San Sebastian in Spain, through Basque Country to Madrid to Valencia, and followed the coastline from Valencia, all the way around through Southern France, Monaco, Italy to Naples, then across Italy to Foggia and down to Brindisi. My ferry from Brindisi Italy to Patras Greece was changed by the ferry company on the eve of travel, to Igoumenitsa in North Western Greece, 300 km from where I needed to be, but I have to say that this 300km is the best section I have done thus far. I loved it. I am now in Rhodes and preparing for Turkey. Are you on tightly planned schedule? I’m not on a tight schedule, and if it takes years, so be it. My GP put me on to cycling as a way of being able to use my left leg to work keep my right leg inline and working, as well as cycling being extremely low impact. What qualifies the ride as a circumnavigation? A circumnavigation involves completing at least 18,000 miles of actual cycling in pretty much one direction roughly, and I chose West to East. It also involves crossing to antipodal points on the Earth, and chose Madrid in Spain, which is complete, and Wellington in New Zealand. Any flights, ferries or other transportation cannot be counted. How is your body and mind holding up after so much time on the bike? After 123 days of cycling, I suffer greatly, both physically and mentally. Pain has increased but I am still hoping that this will turn around as my body adapts. Mentally, I really struggle with traffic, mostly with regard to larger vehicles. As I suffer Situational Anxiety and PTSD as a result of the accident, it is understandable. That said, I also hope that I will eventually adapt and the conditions will not be with me in the near future. So if anything, my conditions have worsened in the most part, and not improved for the rest. But, I’m doing this, I can’t believe I have actually made it this far, but here I am. My children are behind me completely and help me with internet and especially social media. I also have family and friends helping with things like letters or contacts. This is an incredible journey I am on. I have Asthma, Hypothyroidism, and I’m also on testosterone replacement therapy to help maintain my bones and joints as a result of the accident, but I have seen on video, a guy with no right leg or right arm, and is bicycle touring Asia, so I consider myself very lucky indeed. I’m living an amazing adventure I never thought possible. Stephen Peel is a dad, photographer and adventurer cycling around the world.